D-E Today / STEM in the News! D-E’s Hajjar STEM Center was announced as a winner of the 2016 American Institute of Architects’ (AIA) Education Facility Design Award given by the Committee on Architecture of Education. 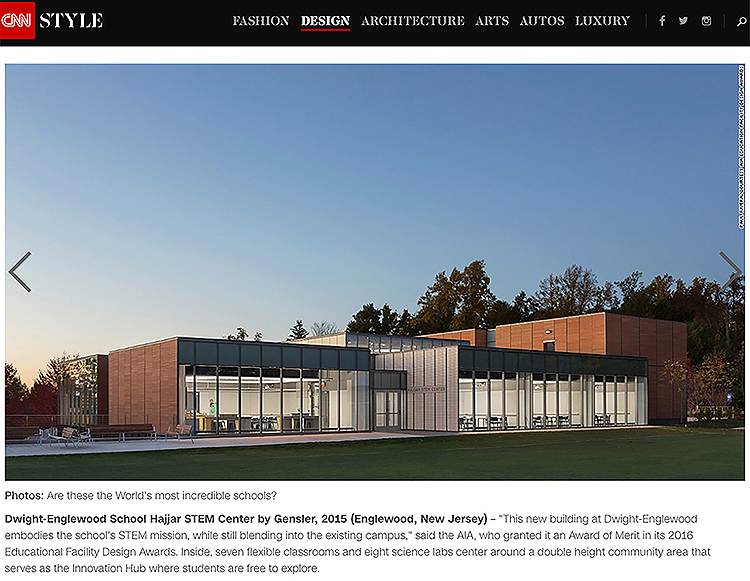 As Architect Magazine explains, Hajjar STEM Center was recognized for architectural emphasis on “innovative building technologies and a fundamental connection to surrounding communities.” Read the Architect Magazine article here. Hajjar STEM Center was also recognized by the Association for Learning Environments as the winner of Project of Distinction 2017. Find out more about the Association for Learning Environments here.